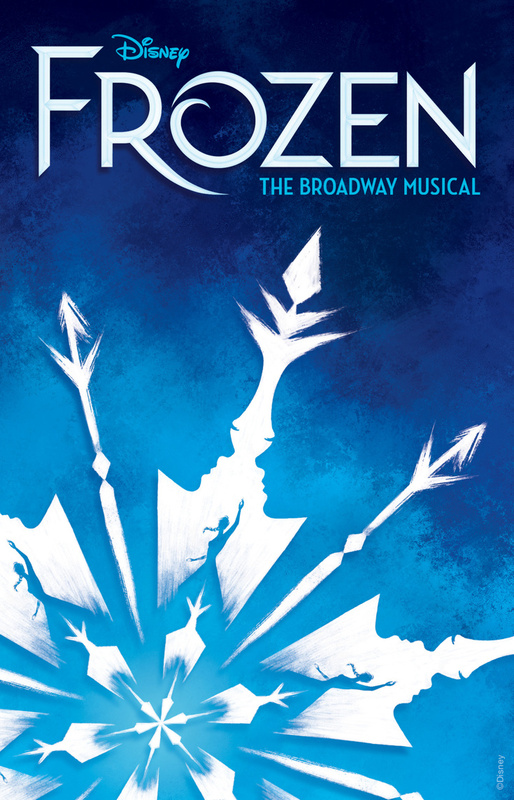 Tickets are now on sale for Frozen, the newest Broadway musical from Disney Theatrical. Frozen begins previews at the St. James Theatre on February 22, 2018 and will open mid-March. Frozen, a full-length stage work told in two acts, is the first and only incarnation of the tale that expands upon and deepens its indelible plot and themes through new songs and story material from the film’s creators. This new stage production features more than twice as much music as the beloved 2013 animated film. Broadway's Frozen features a book by Jennifer Lee and score by Oscar winners Kristen Anderson-Lopez and Robert Lopez. Frozen features choreography by Tony winner Rob Ashford and direction by Tony winner Michael Grandage. Frozen stars Broadway veterans Caissie Levy as Elsa and Patti Murin as Anna. They are joined by Jelani Alladin as Kristoff, Greg Hildreth as Olaf, John Riddle as Hans, Robert Creighton as Weselton, Kevin Del Aguila as Oaken, Timothy Hughes as Pabbie, Andrew Pirozzi as Sven, with Audrey Bennett and Mattea Conforti rotating as Young Anna along with Brooklyn Nelson and Ayla Schwartz rotating as Young Elsa. Alyssa Fox is the Elsa standby and Aisha Jackson is the Anna standby. Frozen also features Alicia Albright, Tracee Beazer, Wendi Bergamini, Ashley Blanchet, James Brown III, Claire Camp, Lauren Nicole Chapman, Spencer Clark, Jeremy Davis, Kali Grinder, Ashley Elizabeth Hale, Zach Hess, Adam Jepsen, Donald Jones, Jr., Nina Lafarga, Ross Lekites, Austin Lesch, Synthia Link, Travis Patton, Adam Perry, Jeff Pew, Olivia Phillip, Noah J. Ricketts, Ann Sanders, Jacob Smith and Nicholas Ward. The design team for Frozen includes Tony winner Christopher Oram (scenic and costume design), Tony winner Natasha Katz (lighting design) and Tony nominee Peter Hylenski (sound design). Frozen features orchestrations by Tony nominee Dave Metzger and music supervision and arrangements by Tony winner Stephen Oremus. Disney's hit film comes to life on Broadway in an all-new production created for the stage.